In the year 2018 Mediterraneo Expres took part to the prestigious Group MACH-3000, the European Alliance of furniture logistic present all over in Europe. MACH-3000 count with an accurate selection of companies that offer a logistic and transport global service either B2B and B2C.. We are specialized in furniture logistic and thanks to our network we deliver to our clients a convenient and highquality service all over the European territory. Weekly collection in any point of Europe. Weekly distribution in any point of Spain and Portugal. The main brands in the furniture sector are working with one of our Group’s company. Packaging, labelling, custom services, fittings and rubbish removals. 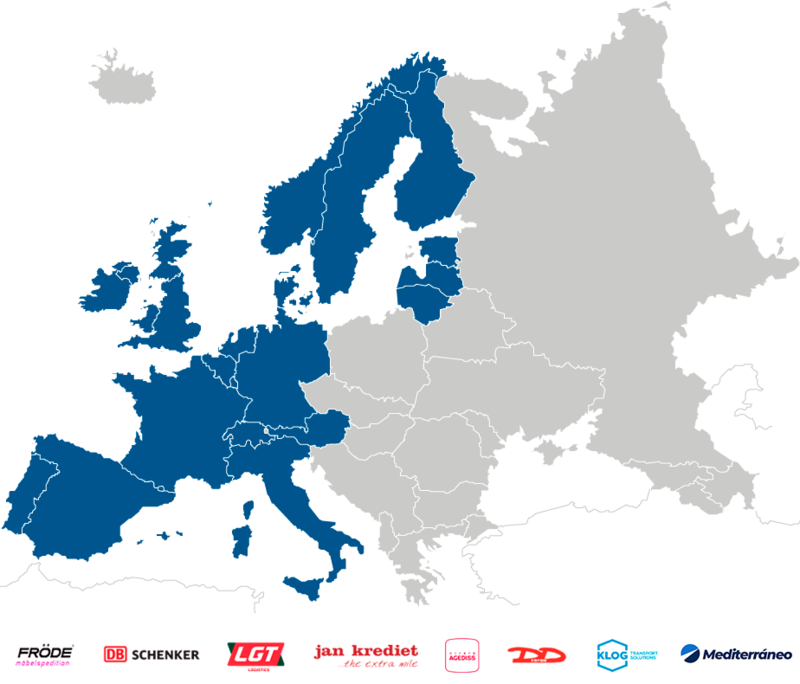 The network MACH-3000 is composed by Furniture transport companies leaders both in their Land and in Europe like Fröde in Germany, Jan Krediet in BeNeLux, LGT Logistic A/S in Scandinavia and Baltic States, DB Schenker in Italy, Girard Agedis in France, K-Log Transport Solutions in Portugal. DO YOU WANT TO KNOW US BETTER?